S o many great hotel options in one little town! How do you choose? Use the San Miguel de Allende Hotels Directory! Here's where you'll find the perfect place to lay your head at the end of a long day of cobblestone walking, church gaping, memento shopping, tummy stuffing, art gazing, lecture listening, and all the other wonderful things there are to do in San Miguel de Allende. What you won't find in San Miguel de Allende (at least not yet) is the huge, all-inclusive resort-type hotels that litter the beaches of Cancun and Puerto Vallarta. 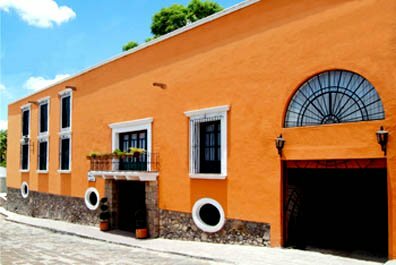 San Miguel hotels tend to be small and generally play on the colonial architectural heritage of the town. Many have been created from centuries-old colonial homes, complete with central courtyards and gardens, patios and roof terraces for enjoying the view or watching the sunset. So let's use the San Miguel de Allende Hotels Directory to find your ideal hotel room for your next trip. Accommodations are grouped by price. Hotels and bed-and-breakfast rates have increased in San Miguel (just like everywhere), but the number and variety of San Miguel lodging options has also grown enormously in the last few years. You can still find a decent place to sleep in San Miguel for under $40 (or bunk in a dorm room in a hostel for about ten bucks!). Or you can pay several hundred to be pampered in luxury. The choice is yours. The San Miguel de Allende Hotels Directory lists accommodations at both extremes... and everything in between. The listed categories refer to the average price for all rooms and/or suites. Some hotels have a lot of variation, from their smallest singles to a family suite. Prices vary according to season. All prices are in US dollars for a double room for one night, including taxes, unless it says otherwise. Once you've decided on your price range and how much luxury you want to pay for, click on the link for that group. For each property in the San Miguel de Allende Hotels Directory, you'll find information on size, location and some notes on the services and amenities offered. OK. You've picked your perfect "home away from home" for your stay in San Miguel de Allende. Contact the hotel directly through their web link, phone number or email to make your reservation. Note: Many San Miguel hotels and most bed and breakfasts have minimum stay requirements during the high season and holiday periods. 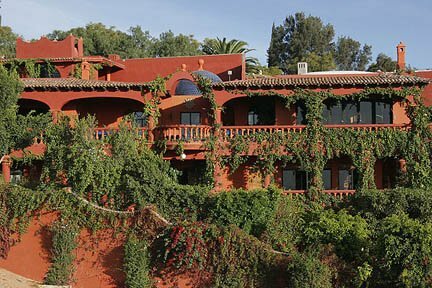 Luxury Hotels in San Miguel - $$$$ Over $200 a night. 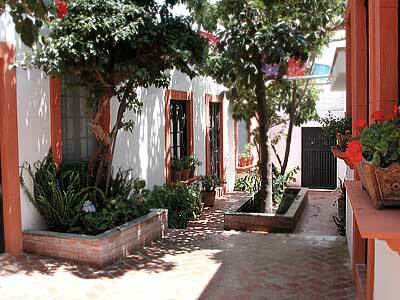 Finally, check out these options for Hostels in San Miguel. They all offer both private rooms and shared dorm-type rooms for even greater savings. If you've got a comment about a hotel in the San Miguel de Allende Hotels Directory, please do let us know. And if we've missed one.... well, we need to know that too.